An interesting paper about a recently excavated center of metallurgy in Bijnor, Rajasthan. The authors write: "Three sessions of excavations (2014-15, 2015-16 and 2017-18) have revealed a single center for metal craft at Mijnor (4MSR) . . . which lies about 500m from the dried bed of the Ghaggar/Hakra (ancient Saraswati), 6 kms west from the district headquarter Anupgarh, Rajasthan. We shall discuss here the pyrometallurgical remains including furnaces, ore-minerals, slag and a metal supported with the newly known Nantokite, a very rare mineral and is usually found as the alteration product of Cu-minerals in archaeological sites arid climate." 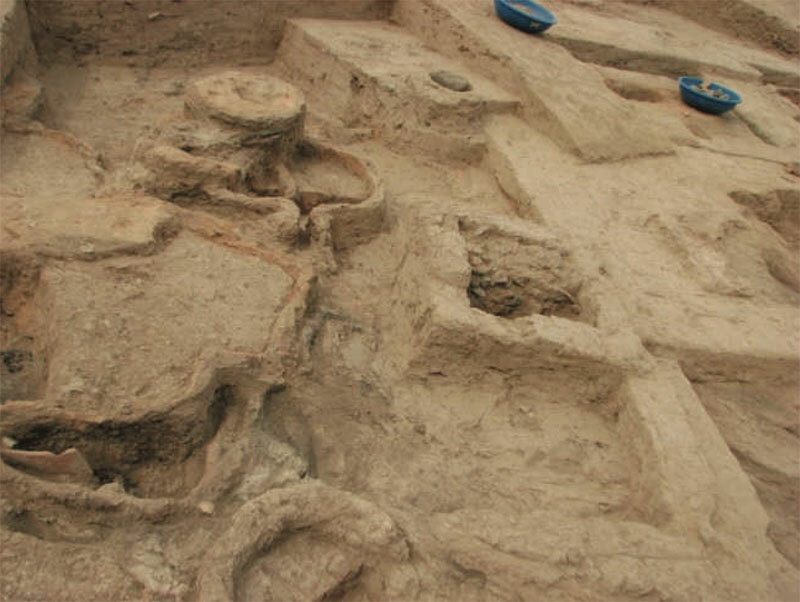 The site seems to have been worked during the pre, transition and mature Harappan phases; unlike Harappa and Mohenjo-daro according to the authors, Bijnor was also the site of metal work whereas the two larger cities show "only the presence of copper smiths furnace." The authors build on "the remarkable observation by Kenoyer and Miller, that there was no metal processing slag excavated from Mohenjo-daro" to investigate why this is might not be the case at Bijnor. The look at the different types of furnaces excavated at Bijnor, the residue from them, the terracotta cakes used to control temperature, the minerals used – indeed, metal work is complex, but it leaves telltale artifacts that the authors use to draw inferences on how this important site may have functioned and where it may have drawn critical ores from in neighbouring areas.